The death toll of the suicide bombing in Pakistan is now at 89, and the Pakistan parliament has passed a resolution condemning the raid. Many Christian groups in the West have also criticized the celebration of bin Laden’s death, if not the military operation itself. Bin Laden’s death and the different reactions around the world to it underscore the moral ambiguity of war, and assassination. 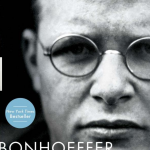 The best-selling biography of Dietrich Bonhoeffer by Eric Metaxas echoes much of what is being debated about bin Laden. When is assassination morally justified? The publisher Thomas Nelson has a very good YouTube video about Metaxas’s book which won Christian book of the year. The Christian Post has a good story on Eric Metaxas, and what motivated him to write about Bonhoeffer, and a previous book on Wilberforce. Kathryn Jean Lopez has a “Bonhoeffer Yes We Can” column in the National Review. 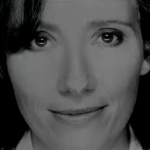 Here’s an interview with a 9/11 widow about the death of bin Laden and the cheering of his demise. She says Jesus isn’t cheering bin Laden’s death, nor can she cheer the death of a man who is going to burn in hell for what he has done. My own feeling is that bin Laden got exactly what he deserved, and needed. The victory tour by politicians needs to wrap up since it wasn’t that long ago that they were trying to prosecute some Navy SEAL commandos in Iraq for punching a terrorist in the nose. Bin Laden’s death is like putting an animal with rabies to sleep. It will save us, he says.